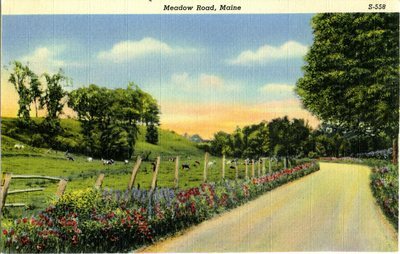 An image scanned from a postcard with the caption of "Meadow Road, Maine," of wildflowers lining a fence along the road. Cows are grazing in the pasture. The image was printed with an identification number, S-558.